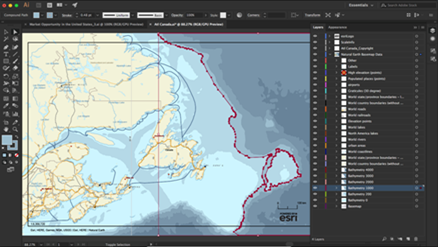 ArcGIS Maps for Adobe Creative Cloud allows design professionals to directly access fit-for-use GIS content from your ArcGIS platform. Enrich publicly available content with your own local data and create map artwork that stands out with your branding information. 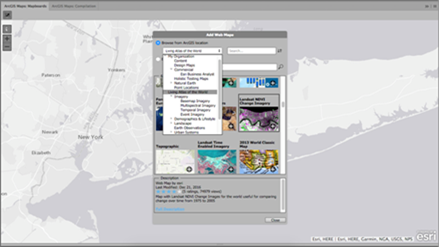 Quickly search and add hosted maps and layer content into Illustrator or Photoshop from Esri, commercial vendors, open data sources, user organizations, and your own local data. Get design-ready vector layers and high-resolution images inside Adobe Illustrator or Photoshop. 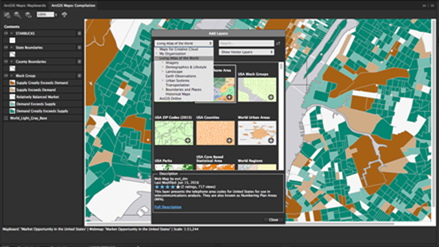 Visualize spatial data and change its aesthetics the way you want. Share geographic content using the ArcGIS web services you are already familiar with (web maps, feature services, map layers, and so on). Get the best of both worlds. 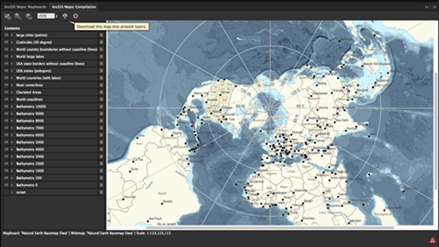 Run spatial analysis and manage your GIS using the power of ArcGIS, and then access and visualize the results inside Adobe Illustrator or Photoshop for cartographic outputs.